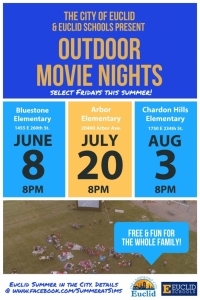 Don’t forget your lawn chair and bug spray when you head out to Euclid’s Outdoor Movie Nights select Fridays this summer! Join us at three different Euclid elementary schools out on the lawn for programming at 8pm and the feature movies that begin at approximately 9pm. We are proud to offer pop-up programming as part of Euclid’s ‘Summer in the City’ series thanks to collaborative planning efforts between Euclid Schools, the City of Euclid’s Department of Planning and Development and Councilwomen Taneika Hill (Ward 3) and Christine McIntosh (Ward 5) as well as multiple Euclid residents and businesses. 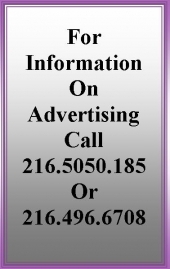 Thanks to Euclid-based Aladdin Rents, free popcorn will be available to attendees while supplies last. Free parking and restrooms will be available at the schools. Minors must be accompanied by an adult per the City’s curfew. Check out https://www.facebook.com/SummeratSims/ for programming and movie title updates.